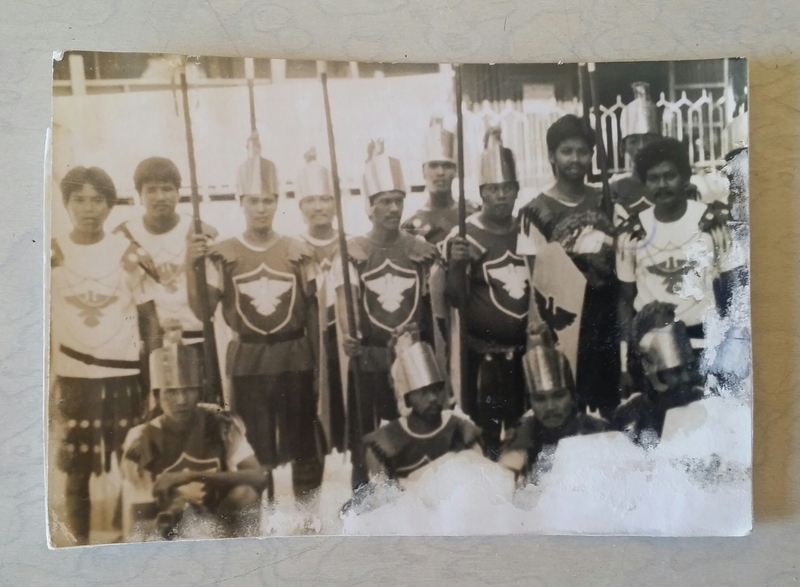 Ever since I was a kid I used to watch the Passion Play here in Cavite City during the Lenten Season. It is called here in the Philippines as Senakulo. It is derived from the Spanish word Cenaculo. It is a Lenten play that depicts the events of the Old and New Testament that is related to the life, suffering, and death of Jesus Christ. It is traditionally performed on a stage. There is usually a painted cloth or paper backdrop called telon. It usually takes up to eight days from Palm Sunday up to Easter Sunday. In modern times like the one that is being performed here in Cavite City, it is done in the streets. It takes about 8 to 10 hours to finish. According to some of my old relatives the Passion Play here is a depiction of the 14 Stations of the Cross. From when Jesus Christ entered Jerusalem up to his Resurrection. It takes about 8-10 hours for it to finish. According to some old people here that I was able to talk to. The Passion Play started here in the late 1970’s. I was also able to talk to one of the Apostles in the stock photos and he said that during that time the Roman soldiers were all portrayed by Retired US Navies, Armies, and Air force personnel. Also all the participants in the play are all volunteers. Some of them do it as a form for penitence while others do it as a form of a vow or oath. There are a lot of people who watch the Passion Play done here every year. It has been a tradition for us to watch it during the Lenten Season. It is usually done here on Holy Tuesday. Also There are other places here in the Philippines that also does that Passion Play and almost everything is the same except for the people who portray the characters. A few weeks ago one of my men (magbobote) brought me a box full images of stock photos. I asked him were he got the box of stock photos. 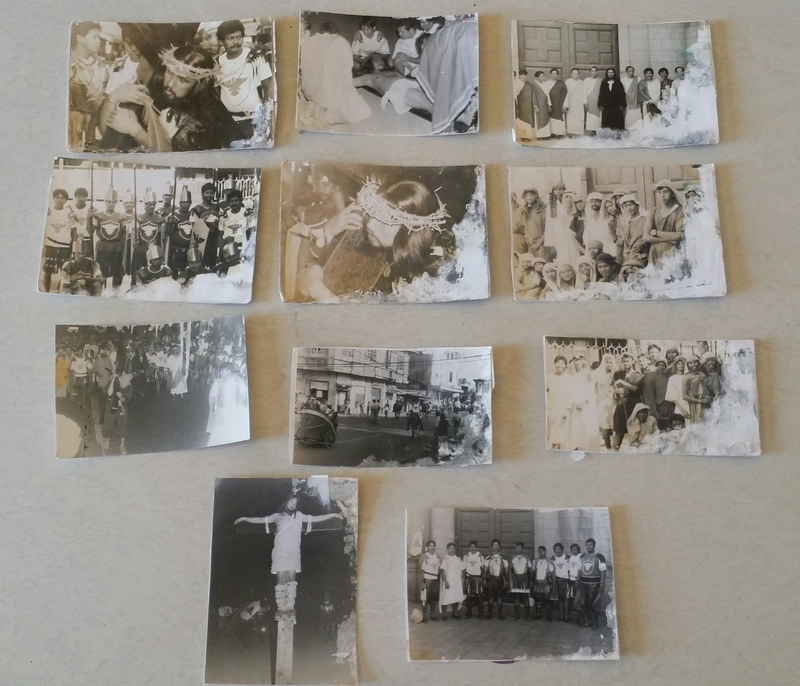 He said that he got the photos in a dumpster near our area. When he was looking for some scraps and junk to be sold at my junkshop he found the box and took a look at it. He then found that there were some images of stock photos and he decided to bring it to me. He thought that I might be interested because I asked them to look for some old pictures. While I was skimming the photos. I noticed a bunch of religious photos that was included in it. 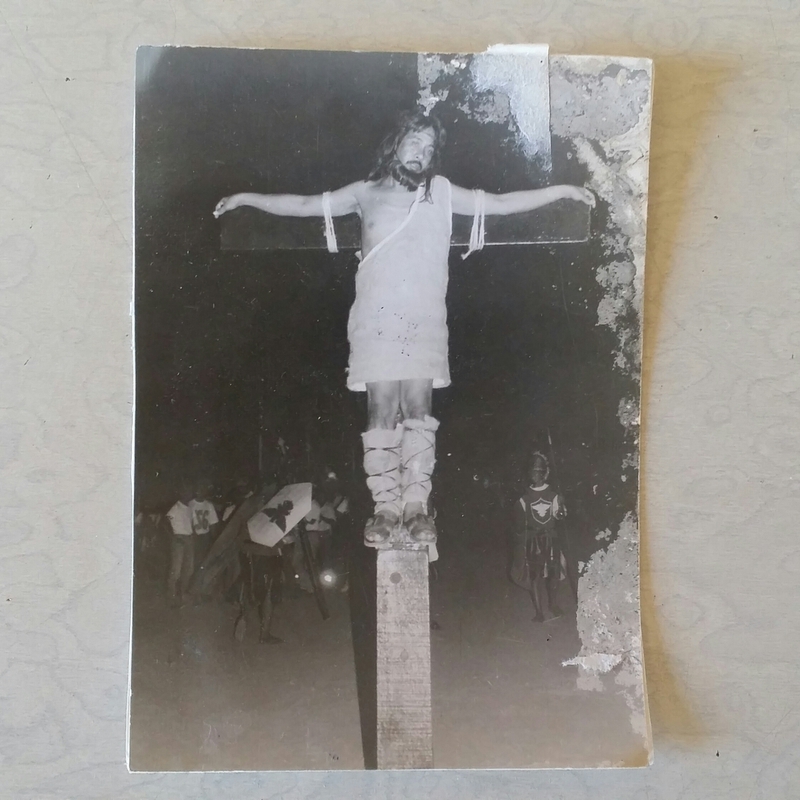 I then collected all the religious pictures and I found out that all of them were related and that they were all pictures of Passion Play or Senakulo. At first I thought that the pictures were taken from the late 60’s or early 70’s. 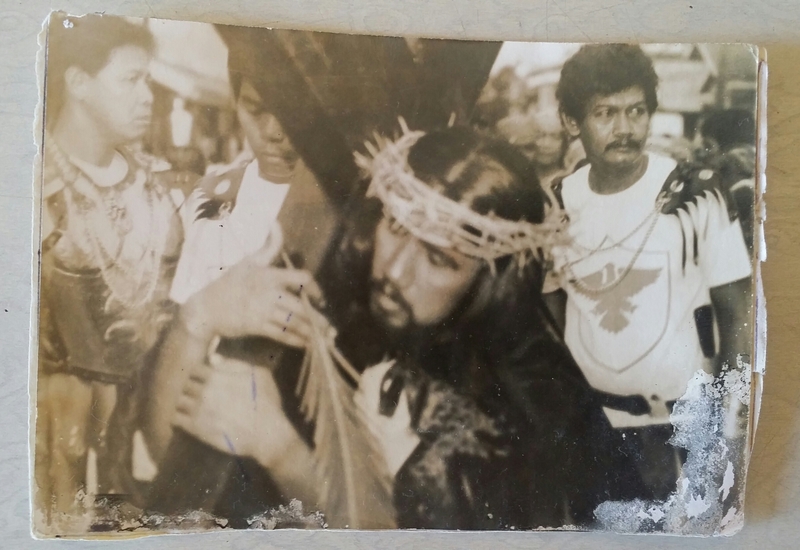 After I got the religious photos of the Senakulo, I showed it to my mom. She skimmed the pictures and found that she knew one of the Apostle in the stock photo. I asked her to call him and maybe I could show it to him to get some more information. 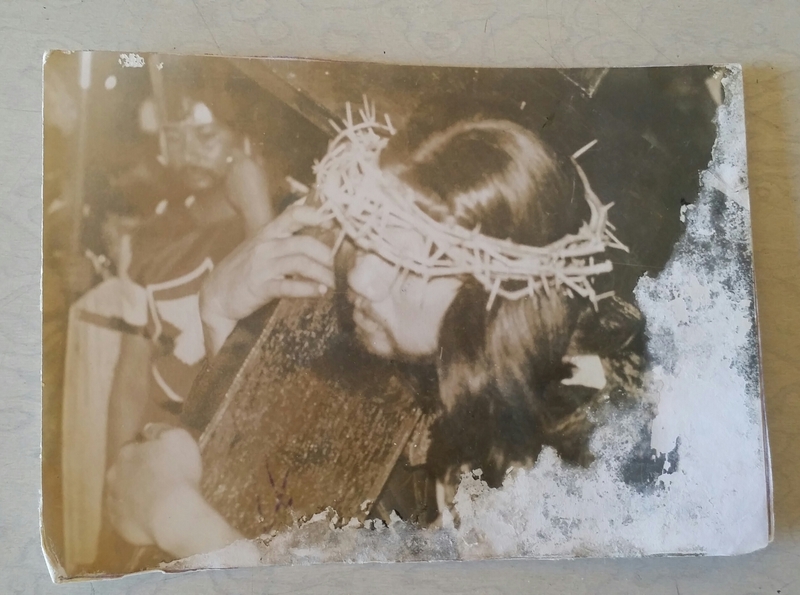 I was then able to talk to the man and he said to me that the pictures were from the early 1980’s because that was the time when he became an Apostle in the Passion Play. we also talked for a bit and he said that during that time they not only performed here in Cavite City but they were also invited to other municipalities in the province of Cavite. They were not paid and they do it for free and voluntarily. He also said that there was a sense of pride and joy whenever people watch and appreciate the things that they do. The Photo above shows the Roman Soldiers who arrested Jesus Christ and also the ones who accompanied him until his crucifixion. As you can see people at that time really did worked hard to portray themselves as Roman Soldiers. Having stock photos of it is a good remembrance to show to the younger generations in order to inspire them. They even have complete weapons and armor to make it look realistic. I still remember getting scared when I was a kid when seeing them because of how they carried themselves a Roman Soldiers that depicts them as the ones who made Jesus Christ suffer. 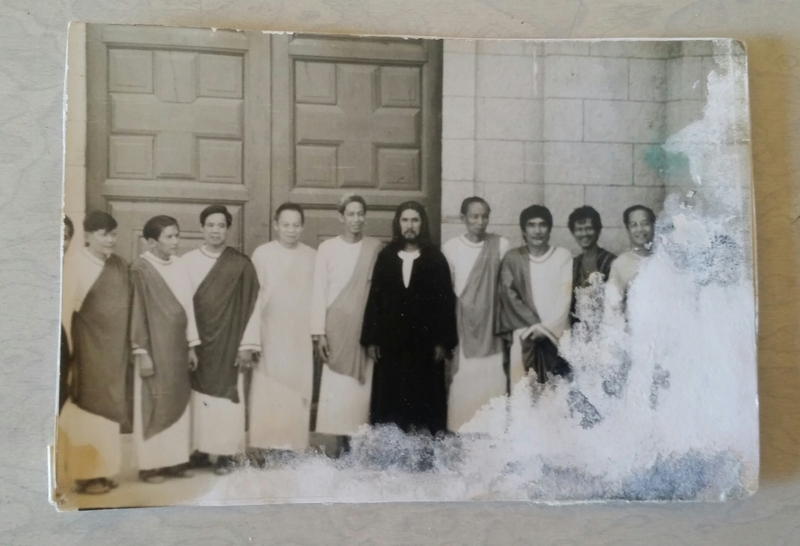 the picture above shows the person who portrayed Jesus Christ and the persons who portrayed his Apostles. 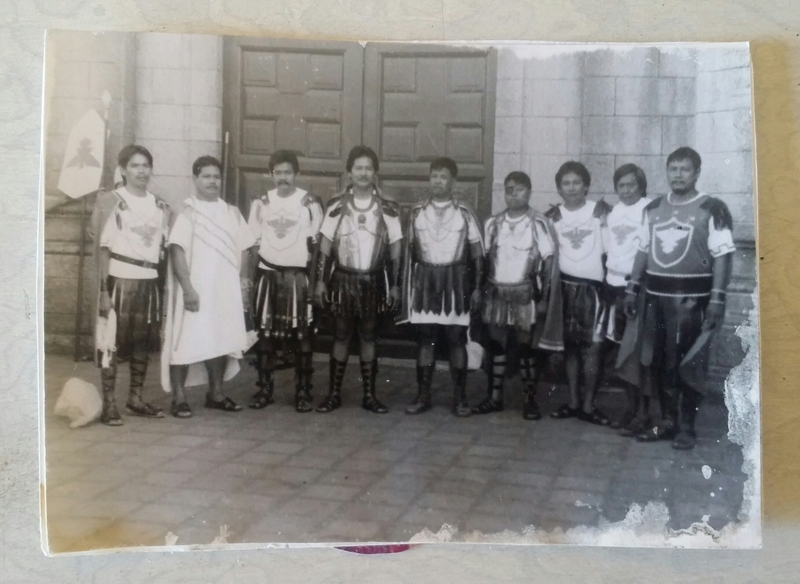 According to the friend of my mom the background was the door of our old church. 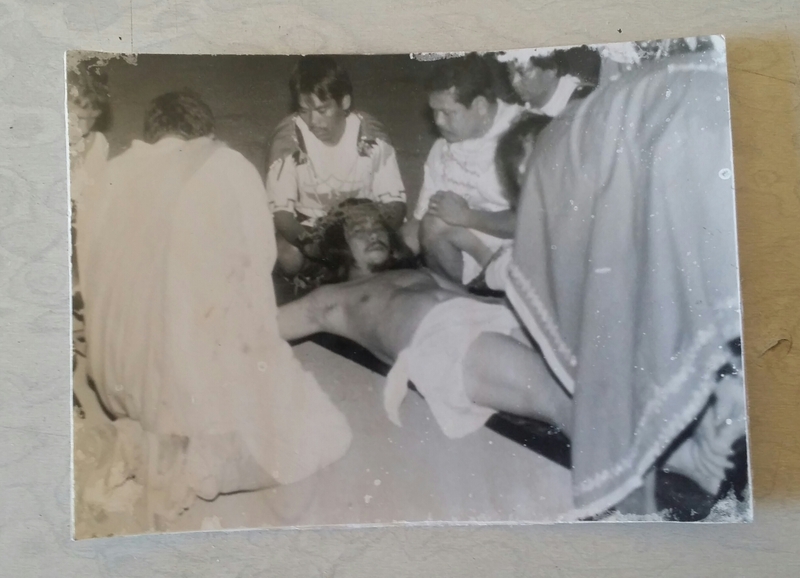 And this particular photo was taken before they started the Passion Play. To bad the picture has some water damage. 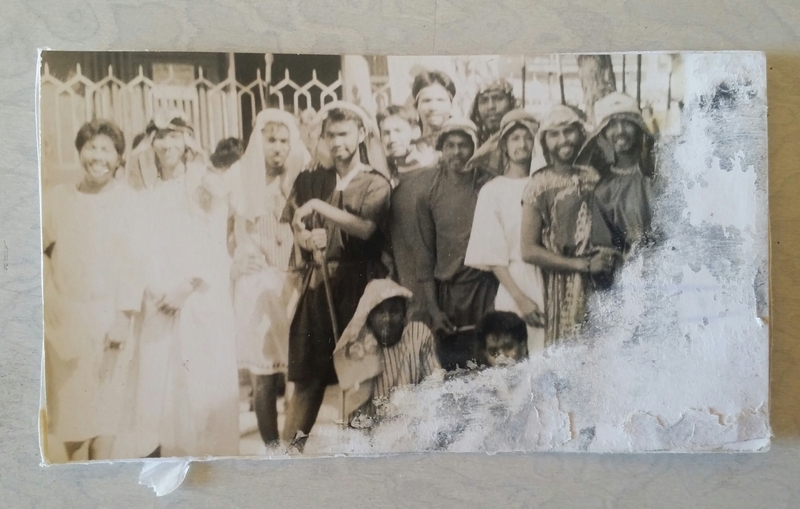 The photo above shows the different participants for the said Passion Play. Some have minor roles while others have major ones. But all of them give and sacrifice a portion of their time to practice and make the Passion Play a memorable one. The pictures above shows the procession of Jesus Christ from his last supper to his crucifixion. 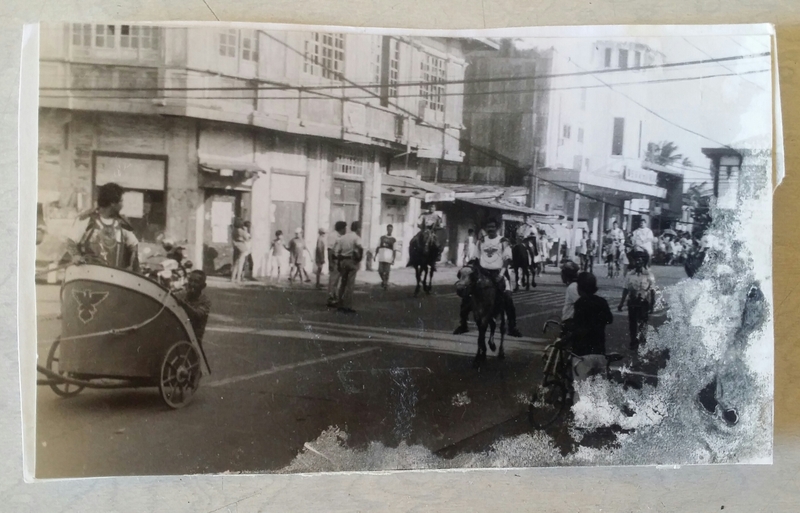 It also show the streets of Cavite City form the early 80’s and in one of the pictures you can see the old house and the old cinema. Today both are demolished. The last two pictures above shows the preparation before Jesus Christ is crucified and after. I still remember that this was the most emotional part of the Passion Play and some devotees even cry whenever they see this part. 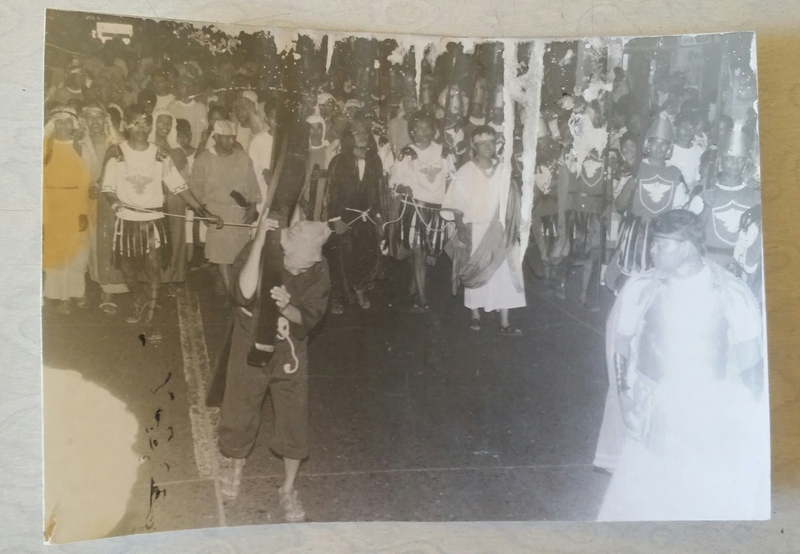 All in all the pictures are a great reminder of this tradition that up to this day is still being held not only in Cavite City but other places in the Philippines as well. The pictures also shows the devotion of the people here to their faith. 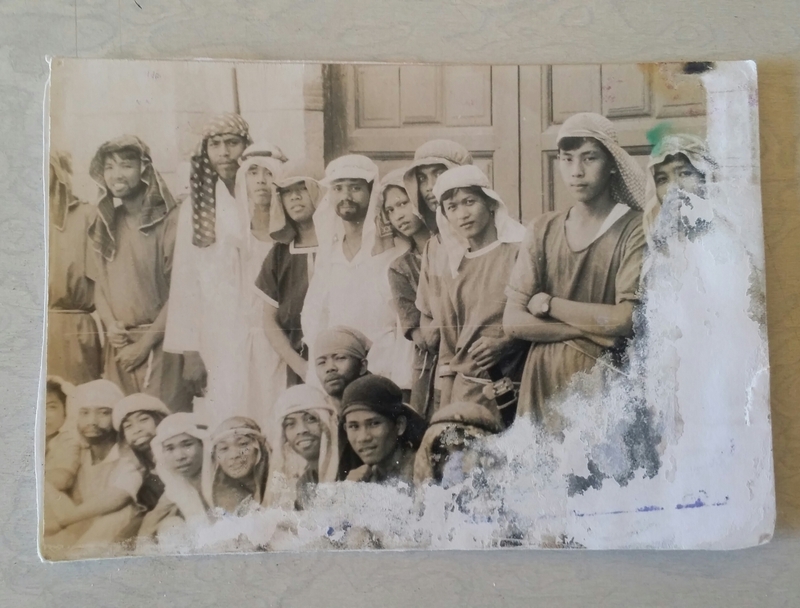 I hope that this tradition will still be experienced by the future generations and that this old religious pictures of the Passion Play be a reminder of how the people of the past used to devote their time and energy to make it a production that will be remembered. Salamat po sa information sir.